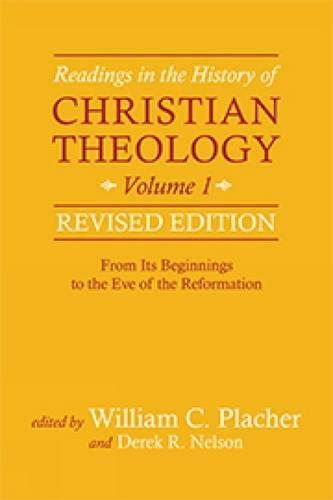 William C. Placher and Derek Nelson compile significant passages written by the most important Christian thinkers, from the early church through the Middle Ages, and up to the beginning of the sixteenth century. Illustrating the major theologians, controversies, and schools of thought, Readings in the History of Christian Theology is an essential companion to the study of church history and historical theology. Excerpts are preceded by the editors' introductions, allowing the book to stand alone as a coherent history. This revised edition expands the work's scope with the addition of many new texts, especially those from the voices of women and others who have been marginalized from the theological tradition. This valuable resource brings together the writings of major theologians from the church's history for a new generation of students.